Going to the park is a great family activity. The kids are getting in their physical activity by climbing, swinging, sliding and jumping. Just because we're adults doesn't mean we can't do the same! If you want to get in your physical activity while at the park, try this High Intensity Interval Training (HIIT) workout. It's quick yet effective. Start with a 5 minute warm up repeating jumping jacks, squats, forward lunges, and jogging in place. Then, perform these 5 moves with 10 second break between each move. Repeat up to 5 times with a 60 second break between rounds. End with a 5 minute cool down with appropriate stretches and hydration. We hope your trip to the park was as active as the kids'! 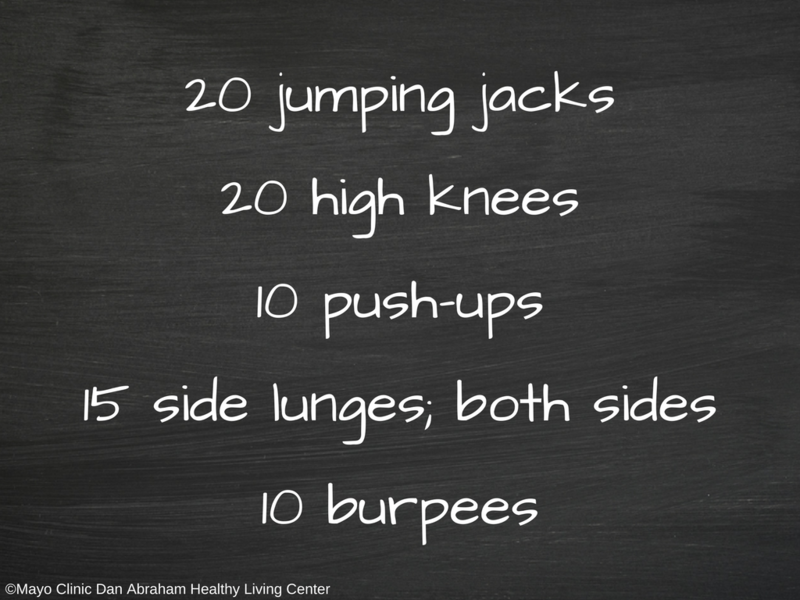 Click here to print this workout. Or, for more workouts, click here.